Landscape design ideas for corporate campuses bring life to areas that would otherwise be sterile and uninspiring. Corporate campuses are becoming standard in the workplace to shape an environment conducive to collaboration, innovation, and a sense of community. 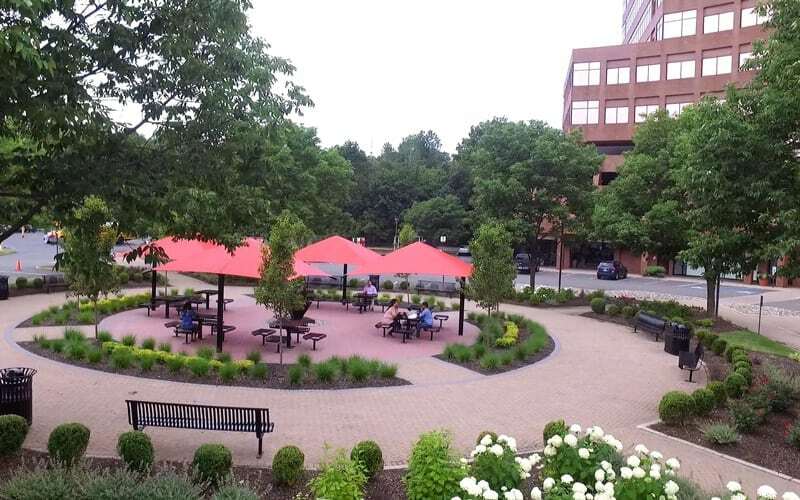 A key feature on these campuses is their landscape where outdoor spaces are being created for employees to work, socialize, eat and relax. Corporations are branching out, literally. 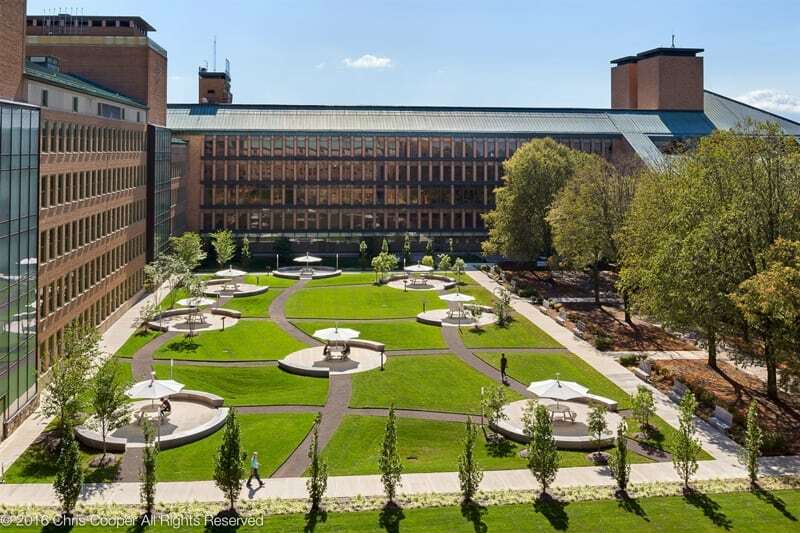 These landscapes are being inspired by college campuses which for years, have used courtyards, gardens, and walkways to help inspire and motivate students. Here is a look at some of the concepts and ideas corporate campus are utilizing in landscape design that are growing in favor. Some businesses do not boast sweeping lawns or courtyards, but they can manage to make what little outdoor space they do have count. By creating a multi-leveled patio area, space can be maximized without compromising on design. Potted trees, a small container garden, and clean lines can make an impactful area for coffee breaks, lunch or small meetings. This small space will make a positive impression on visiting investors and consumers as a pleasant entrance to the building or somewhere they can enjoy a free moment. 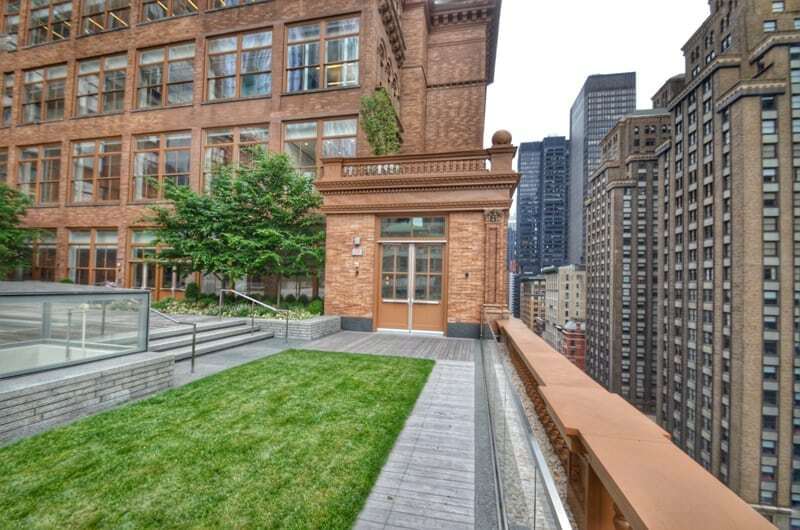 Urban businesses sometimes do not have any immediate outdoor space to work with, so they need to get creative. Using the roof as a patio area is a possible solution. Potted trees, foliage, small clusters of tables or counters can combine to make an attractive meeting area. Green roofs are increasing in popularity. Whether partially or completely covered, a small infrastructure composed of waterproofing, space for roots and possibly irrigation creates a garden space habitat for plants to flourish. This can help lower city pollution and insulate the building. It’s a win-win. 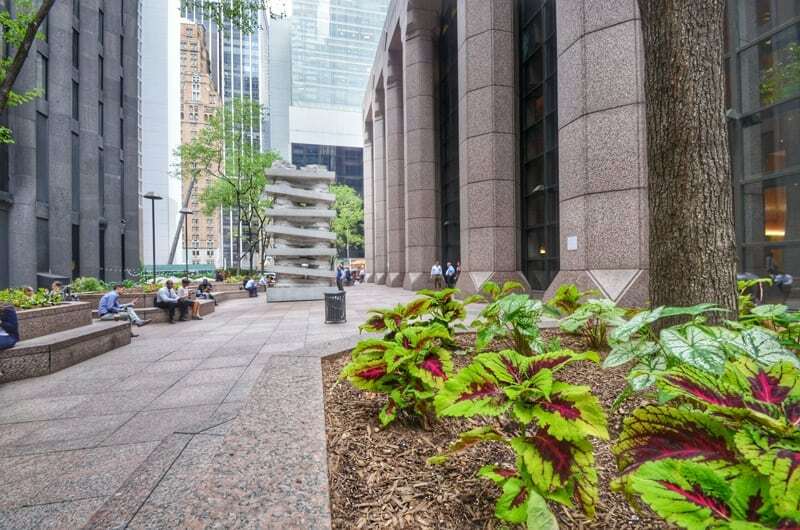 If space allows, contemplative gardens can become a nurturing environment for stressed-out employees to decompress or seek inspiration. Walkways and benches nestled between flowers, shrubbery, trees, and fountains create a peaceful oasis. These gardens can be colorful and distinctive or traditional and simple. 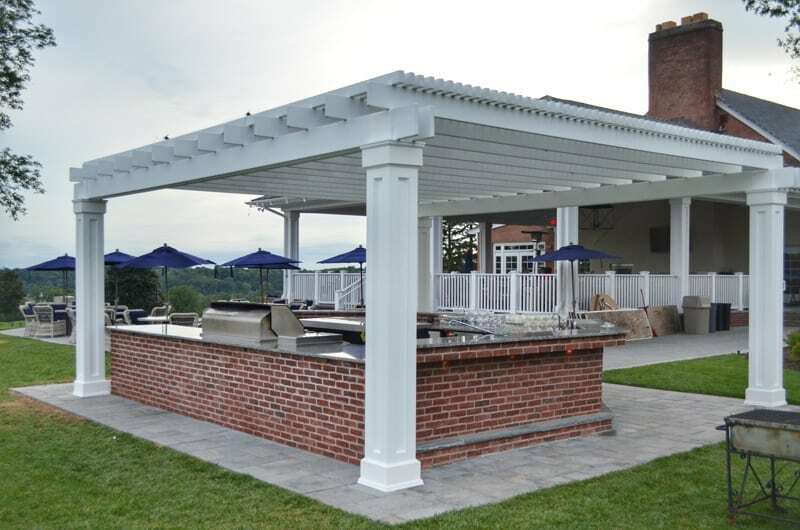 Some companies are even choosing to incorporate pergolas, pavilions, or canopies to provide shade in this relaxed setting. Like the courtyards of college campuses, there is a little something here for everybody. 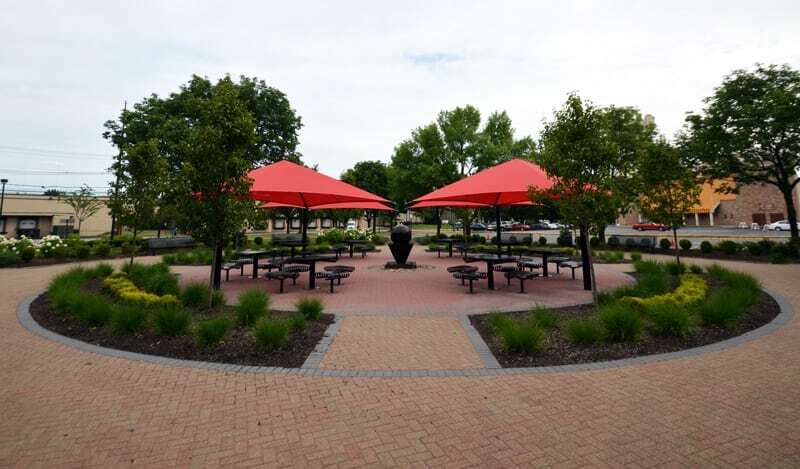 Shade provided by covered patios or pergolas sandwich open spaces with tables and benches. Paths for walking and biking divide the area into sections. Symmetrical trees and bushes form a space that feels natural yet purposeful. Furniture made of concrete, wood or steel are designed for the elements and can be accompanied by heaters. The addition of an outdoor kitchen and/or bar top can also feed into the community mentality by providing space for company get-togethers or everyday use for lunch. Green is a primary goal when considering landscape design ideas, as it represents nature, tranquility, and good luck. Green can also be calming and stress-reducing, which makes it an excellent color for the workplace. However, too much green becomes dull, and incorporating other colors in landscape design can enliven the environment. 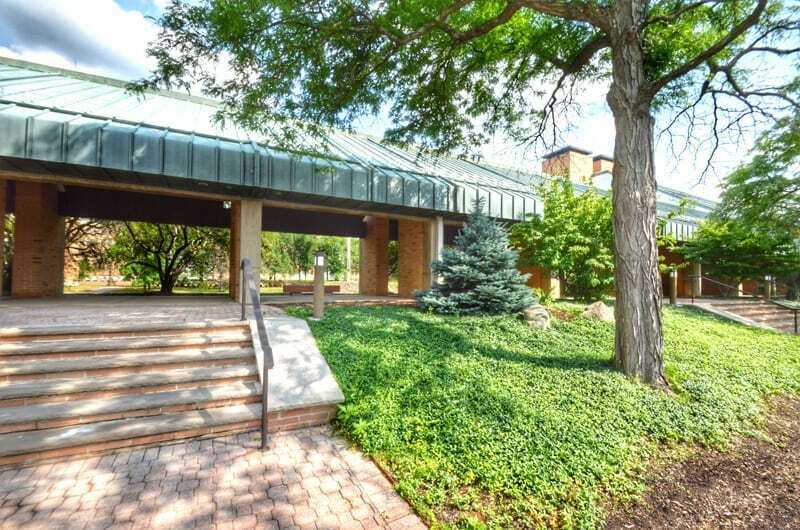 For example, 9 Polito Way in Lyndhurst has an open courtyard with a lot of greenery, but it also has roses that bloom in the spring and a gold thread cypress tree with spectacular yellow foliage. Its design extends well beyond the simplicity of adding life to the space, and the courtyard becomes colorful artwork. 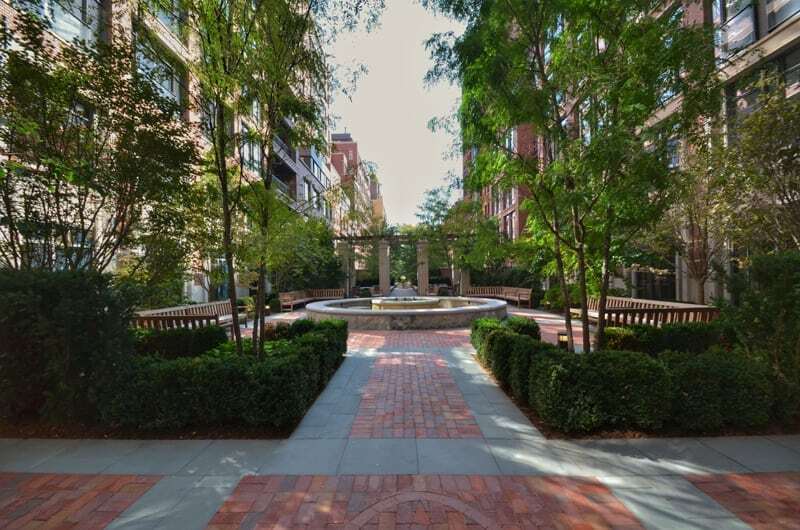 A marble fountain and reflecting pool now rests serenely in the center of the West Village courtyard, and it balances the landscape with extra seating and a beautiful centerpiece. Not only is the sound of water relaxing for residences, but it can also help to drown out the sounds of the city. While relaxation and collaboration are definite goals when considering design ideas for the corporate campus, so is productivity. Sometimes this requires some separation from the masses. That is why Alcatel Lucent has incorporated patio pods into its landscape design. These pods give a feeling of community while also providing some separation, so groups can collaborate without distracting each other. The pods also give the corporate campus an appearance of innovation and success. A design team is essential to achieving effective landscape design ideas for corporate campuses. We are familiar with the latest trends, research, and have many years of experience to achieve the best results for every location. With proper planning, corporate campuses can be a comfortable setting for employees to recharge from the stresses of their work environment. For more information about how to make your work environment friendlier with less stress by utilizing landscape design, contact us!